Worship Leader Luke Hellebronth is Global Director of Worship Central and part of St. Luke's Gas Street church, Birmingham, UK under the directorship of Tim Hughes. Coming from a musical family, from an early age Luke was sure music would play a huge part of his life. But he never thought he would end up leading people in worship. Luke began leading worship shortly after arriving in London in 2003 to study music at Trinity College of Music. Throughout his studies he played in the worship team at Holy Trinity Brompton, London (home of the Alpha Course) but it was in his small group one night that he was asked to lead for the first time. The regular worship leader had broken her arm and being the only other person to play an instrument he stepped in. Continuing to grow and develop under the HTB Student Leadership as well as Tim Hughes and Al Gordon he also began to lead worship on Sundays. He was then employed on staff at HTB for 6 years as Worship Pastor before moving into leading Worship Central with Tim Hughes. In August 2015 Luke and his wife Anna, who is also part of Worship Central and Worship Pastor of St. Luke's Gas Street church, moved from London to Birmingham to help plant the church. 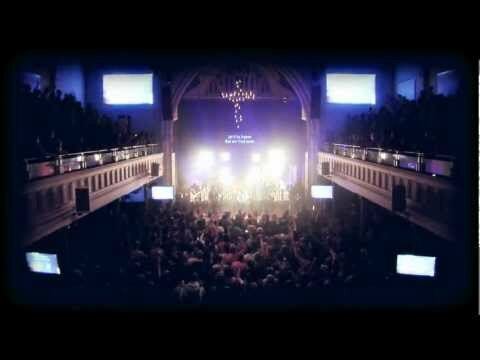 Luke travels all over the world leading worship with Worship Central and the local church. His passion is to use music and lyrics to help people worship God and connect with Him. He has written many songs including 'Spirit Break Out' (Worship Central, Spirit Break Out 2011) also covered by Kim Walker-Smith (Still Believe 2013), 'Ready for You' (Worship Central, Let It Be Known 2013) and 'Stand Up' which is the title track on his debut album released in November 2013 and Worship Central 'Set Apart' released in 2015. Luke continues to invest himself in the worship life of St. Luke's Gas Street, Birmingham and the vision of Worship Central: encounter God, equip the worshiper and empower the local church. He also runs the Worship Central Academy which has several locations around the world, a part-time course in London designed to train emerging worship leaders.